For IT News Week 2 Dec 2016. As part of the fanfare, Grab also took the opportunity to kick off their latest service – GrabCar (6-seater). Exclusively from December 21, 2016 till January 31, 2017, Grab is offering a special promotion of RM10 off 2 GrabCar (6-seater) rides to/from Subang SkyPark Terminal regardless if passengers book via cash or card. Passengers only need to key in the promo code SKYPARK to be entitled for this promotion. The GrabCar (6-seater) can be booked on demand or in advance (minimum an hour prior to pick-up time) to ease travellers minds with a base fair of RM2, with a minimum rate of RM8 (on-demand) or RM15 (advance booking). In light of the year-end holidays, HTC Malaysia, a leading innovator in mobile and virtual reality technology is happy to announce the arrival of two brand new smartphones to the Malaysian market, brimming with the charm and detail that fans of HTC have come to expect from HTC. Starting from 26 December 2016, the two phones that will be coming to Malaysia are the HTC Desire 10 pro, HTC’s latest addition to the well-praised Desire series, and the HTC One A9s, a new refined smartphone from HTC’s award-winning One family. 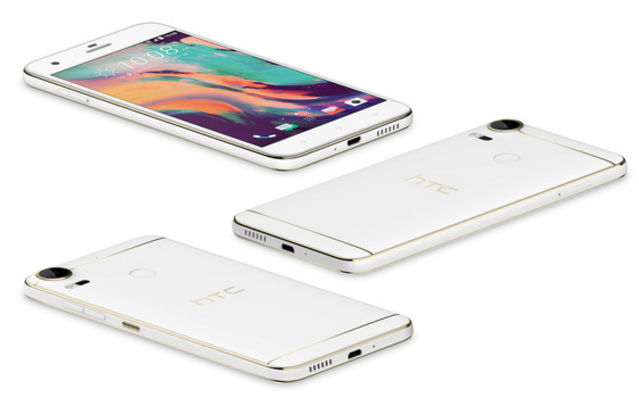 Inspired by the Art Deco movement in art and design, the HTC Desire 10 pro captures the spirit of luxury and modernism: bold, precise, geometric metallic lines – influenced by the same contours as the world-renowned HTC 10 – framed by elegant colors and sophisticated materials in a smartphone that inspires with alluring looks on the outside and powerful technology on the inside. The Desire 10 pro delivers amazing high-resolution cameras on both front and back, including a brand new Selfie Panorama mode that captures extreme wide-angle pictures, and top-of-the-line features such as an ultra-fast fingerprint sensor. The HTC Desire 10 Pro will be available in Malaysia at the price of RM 1,699.00. Drawing on HTC’s iconic design pedigree and world-renowned technological innovation, the HTC One A9s is created to inspire a new generation of phones that offers impeccable precision craftsmanship and quality at remarkably affordable value. Inspired by nature and created for life, the HTC One A9s is an outstanding smartphone with the beauty and power to meet you every need. The HTC One A9s will be available in Malaysia for the price of RM 1,159.00. PR - Dec 20, 2016 - Waze is ready to assist road users to reduce their inconvenience on the roads this monsoon season! Determine Where to Park: Use Waze “suggested parking” to determine the closest bay to your destination, letting users beat the congestion and avoid getting wet. Genius, a leading global brand in digital devices that exude convenience, ease-of-use, highly-functional and great quality, is proud to enter a new phase in its lifetime with a shift in attitude towards a new global market by announcing it is fully equipped to launch modern devices and products to the market in the near future. To usher in this new era, Genius is introducing a completely overhauled website that encompasses the look and feel that the company wants to convey together with their product; convenience, ease-of-use, highly-functional and great quality. Genius’ website adds new customer care and simplify customer relations. Genius now open a registration section called Genius ID which gives customers access to information on how to troubleshoot and return products when needed and also to receive updates from Genius about new products and special surprises. A dedicated section is available for users to easily diagnose and solve problems by themselves with the handy FAQ section. The new Genius website highlights its core concept by giving convenience and ease-of-use via its mobile-friendly and completely responsive design allowing customers to view information anywhere and with any device. The website is also highly functional with Genius proudly launching its new website which serves as a platform for users and customers to easily view Genius product information faster and easier. Great quality is highlighted in the way Genius sorts the products into intuitive categories from touch pen, mouse, keyboard, audio and gaming gear and the creative design used makes it easy for anyone to understand Genius products. For further convenience, products are linked to Amazon for quick purchase links. 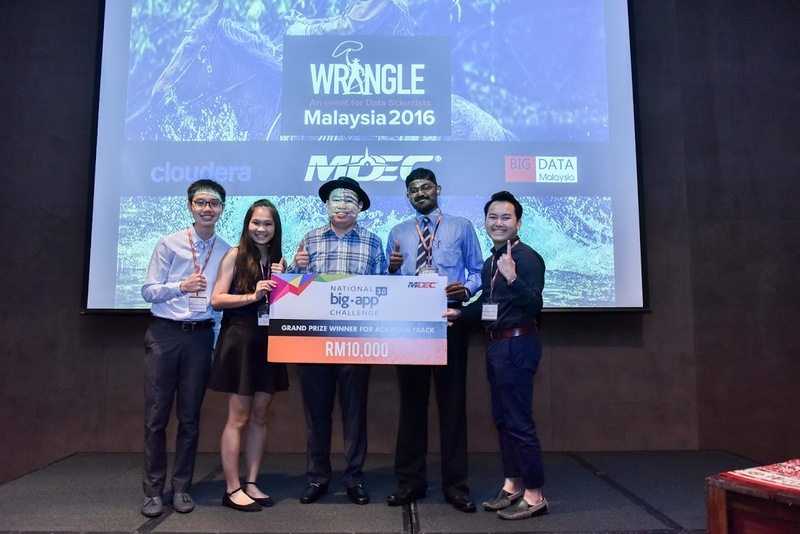 Big Data Analytics (BDA) was the driver behind the development of innovative and life-changing applications at the third National Big APP Challenge, organized by Malaysia Digital Economy Corporation (MDEC) recently. Served as a strategic platform to encourage the extensive use of BDA in the public and private sectors, the Challenge called upon developers, entrepreneurs, and students to create applications for the betterment of businesses and the public in general. The Challenge was concluded with the announcement of winners for two of its tracks – Professional and Academia. WatchUs, an emergency response solution, took home the winning prize for the Professional Track. The team, led by Adrian Wong Teck Keong, created WatchUs during Malaysian Administrative Modernization and Management Planning Unit’s (MAMPU) 48 Hour Open Data Public Sector Hackathon. WatchUs is used to assist with emergency services by connecting members of the public to multiple emergency teams, directly. The solution functions include transmitting data such as GPS coordinates, ETA to hospitals and real-time pre-hospital information such as videos, pictures and EKG results. National big data challenge winners list. Internet security company Rawstream is launching a cloud anti-virus software that meets an unmet need: protecting the cloud-based files on Dropbox for emerging market users who only use mobile devices. Best of all, this new solution, SkyAV, is free. Said Rawstream founder Brian Azzopardi: "We always thought it was unfair that people in developed markets had their Norton and McAfee anti-virus software protecting their files on their laptops and PCs while emerging market users really had no protection. After all, Dropbox doesn't offer anti-virus protection to users so their files in the cloud --- everything that is important to them -- are completely vulnerable to attack." Emerging-market consumers are currently using over one billion smartphones. 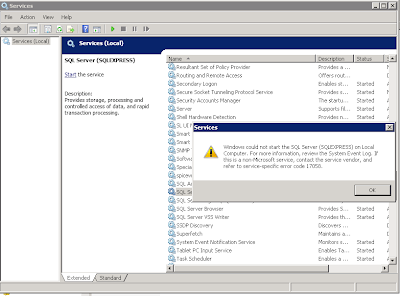 Many of these are lower end phones that cannot run resource hungry security apps without making the phone sluggish. "SkyAV is for the people who don't have the iPhones, the Galaxys and other high-end Android phones," Mr. Azzopardi added. "We made it free for them because we know that in many, if not most, cases they couldn't afford to buy it." SkyAV is security-as-a-service. It runs in the cloud and scans your files for viruses and malware. There is nothing to install on your phone so there is no impact on your phone's performance. The first release of SkyAV on December 15 scans Dropbox folders. The Google Drive upgrade will launch in the second quarter of 2017. Another benefit of SkyAV is it that also helps consumers save storage space by compressing documents. That way consumers will be able to add more files to their Dropbox accounts. And they will know that they are safe. "We believe the world's first freemium cloud anti-virus software is our small contribution to making the world a better and safer place," said Mr. Azzopardi. HP PPS Sales Sdn Bhd today announces the new HP Spectre x360, the second generation of HP’s revolutionary x360 convertible that now features a near zero border display in a design that is 13 percent thinner and 11 percent lighter. Delivering powerful performance in a sleek package, the Spectre x360 now achieves 25 percent more hours of battery life with up to 15 hours . This was accomplished by optimizing the PC for the latest 7th Generation Intel® Core™ processors and fitting a larger 57.8W battery in the thinner design. The new micro-edge display bezel design reduces the overall footprint by eliminating almost 10mm from each side of the screen to provide a beautiful viewing experience for improved portability. With a new hinge design, it is 13.8mm thin, over 2mm thinner than the previous generation and is lighter at 1.295kg compared to 1.45kg. The PC now includes four speakers instead of two to deliver crisp audio. Thanks to tuning by Bang & Olufsen plus HP Audio Boost, the two forward facing speakers in addition to two on the bottom provide superb sound in every mode. The new Spectre x360 also features great connectivity with two USB-Type C™ ports with ThunderboltTM 3 support and a USB-Type A 3.0 port allowing users to connect the latest peripherals both today and tomorrow. The bright display boasts a 13.3-inch diagonal FHD IPS panel that delivers great viewing experiences. The Natural Silver color with polished accents on the hinges creates the sleek profile customers crave. Barracuda Networks, Inc., a leading provider of cloud-connected security and storage solutions, announces that its NextGen Firewall is now available for customers using Google Cloud Platform and can be purchased from Barracuda via the BYOL model. Barracuda NextGen Firewall was developed for highly distributed networks with the advanced security and management capabilities that are required for cloud and hybrid environments. Barracuda NextGen Firewall – which is available directly on AWS Marketplace, Microsoft Azure, and now Google Cloud Platform – provides flexible remote access, application visibility, user awareness, and highly granular security policy management to customers looking to securely leverage cloud platforms.